Did you know that by 2045, the planet will be filled with over 9 billion people? That being said, overpopulation is one of the world's biggest problems faced today — especially when it comes to the agricultural industry, due to so many mouths to feed. The farming industry had to think quick and the fast solution was the use of “chemicals.” Except, using these chemicals comes at a high cost– especially for our environment. How much disrespect is our planet capable of taking? The problem is that most people don't have the time, nor the patience to invest into studying, researching and putting ideas to test to receive proven results. Simply put, "People Get Lost And Caught Up On The Quick Fix," rather than thinking rationally about the harsh consequences and long-term impact of our decisions. If we aren't careful, all life will come to an end if we violate and don't respect the rules of Mother Nature. Conventional Farming emphasizes the Chemical factors and neglects both the Physical and Biological (Microbial make-up). Whereas, Organic Farming emphasizes on the Biological and Physical factors and falls short on the Chemical factors. result to its maximum potential. 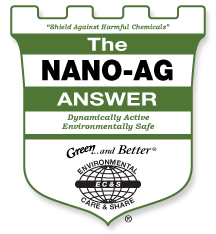 THE NANO-AG ANSWER® is a unique, organic fertilizer and soil conditioner that becomes one with the soil as it rejuvenates all of the natural nutrients that are essential for healthy plants and healthy soil. 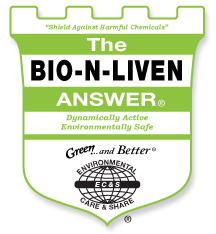 THE BIO-N-LIVEN ANSWER® is a multi-purpose powerhorse and can be used for crops, odor control, livestock and poultry. It’s a biological, multi-enzyme product that electrically charges and stimulates beneficial soil microbes to rapidly multiply and become more efficient in converting waste, compost, fertilizers and soil nutrients into valuable plant food. THE FROZEN-FLAME ANSWER® is a high energy, all organic nutrient source that is highly electric and provides immediate energy to microbial life in soil, manure and plants. From there, it takes on the duty of cleaning up waste, creating compost and producing top soil- Creating Nature’s Perfectly Balanced Plant Food. 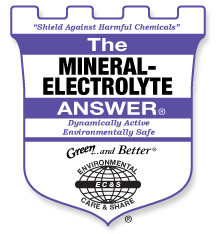 THE MINERAL ELECTROLYTE ANSWER® is the biological solution that regulates, restores and balances the electric life to each individual cell providing them the essential energy they need to survive and function. THE PRO-TECH ANSWER® has an immediate, electrical impact on stimulating plant growth through microbial activity. It provides trace mineral electrolytes in a form that the soil and plants can uptake immediately. Just imagine an all natural sugar high, that enhances cellular activity for your plants. 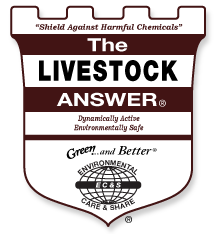 THE LIVESTOCK ANSWER®; known as ‘Nature’s Very Own Probiotic,’ is an innovative product that provides enhanced nutrition to support the health and performance of production animals. THE BIO-COMPOST ANSWER® is the ultimate tool for composting and the key to managing municipal solid and liquid waste management. 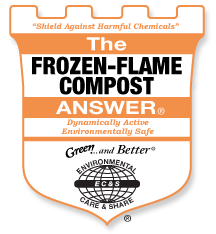 The product is more than just a typical composting aid, as it electrically converts waste into a structured energy source for your soil, but also our environment. THE WASTE & ODOR ANSWER® is a dehydrated concentration of a proprietary formula to facilitate the rapid decomposition and remediation of waste and waste odors.